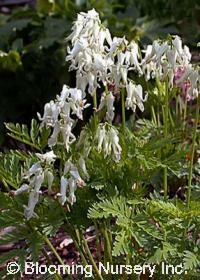 Lovely pendulous white flowers appear above gray-green, fern-like foliage. This dainty shade-lover is native to the northeast US. An excellent, spreading selection that blooms over a very long season.